We have a new flavour! Welcome to Apple & Blackcurrant Smoothies! We've a new addition to the family! Say a big "Howdy" to our new Apple & Blackcurrant Smoothie flavour. Our new baby is currently exclusively available in Tesco so get yourself along to your nearest store and give it a whirl. 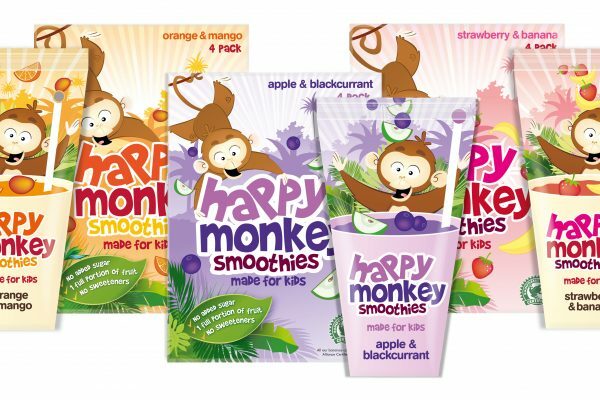 Happy Monkey have won a Bizziebaby Gold Award! The best shortest video review…ever! Happy Monkey have made it on to the TV!